A growing number of Americans are discovering the pleasurable and therapeutic uses of shiatsu, a Japanese method of acupressure. 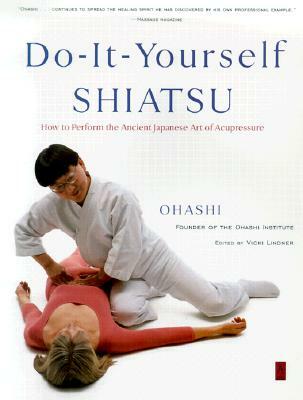 In Do-It-Yourself Shiatsu, Ohashi, one of the most knowledgeable and well-known U.S.-based shiatsu experts, offers step-by-step instruction on how to perform shiatsu at home. Ohashi, who has taught and practiced shiatsu for more than thirty years, focuses on common ailments faced here in the West. He provides clear explanations of all technical terms and helpful photographs throughout to illustrate shiatsu techniques and locations of pressure points. Also included are explanations of special shiatsu exercises, designed to keep energy flowing through the body, and a new preface by the author.